Constructed completely from metal with polymer furniture, the CA870 by Classic Army is perfect for those looking for a powerful, sturdy spring shotgun. The CA870 comes in shooting at just over 400 FPS, making it perfect for outdoor play but disqualifying it for most indoor fields. No worries, however: Classic Army has brought lots of great innovations to the spring shotgun game in a big way, and serious players will want to consider adding one to their airsoft gun collection. 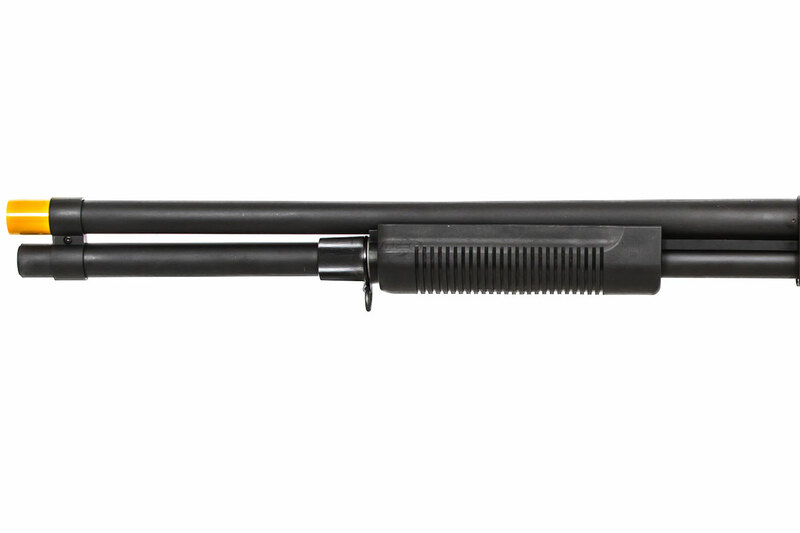 The 870 uses standard AEG springs, which means the FPS can be tuned and adjusted just like your AEGs. This simple and smart design makes it a versatile tool you can use in any environment, meaning this gun will provide you great value if you're looking for flexibility. 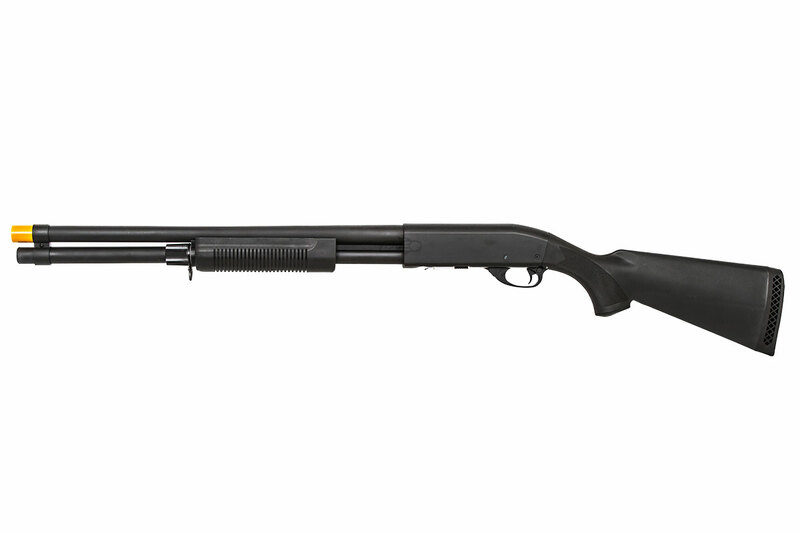 The full metal bodies of the Classic Army 870 line boast excellent heft and weight. In your hands, they feel as real as they look. These quality shotguns also feel incredibly sturdy. Their top-notch finish will help them resist the nicks and dings that are inevitable in hard play and mean these guns will be by your side ready for action for a long time. Our 45-day warranty means we stand behind this gun. The synthetic polymer stocks and pump arms on these guns are durable and help keep the weight down for maximum mobility. 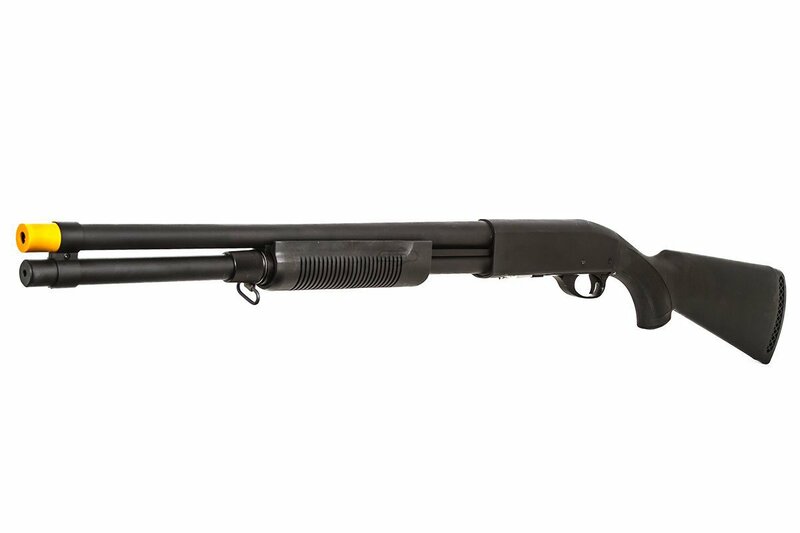 The 870 also comes fitted with sling mounts at the front of the tube, making attaching slings a breeze. 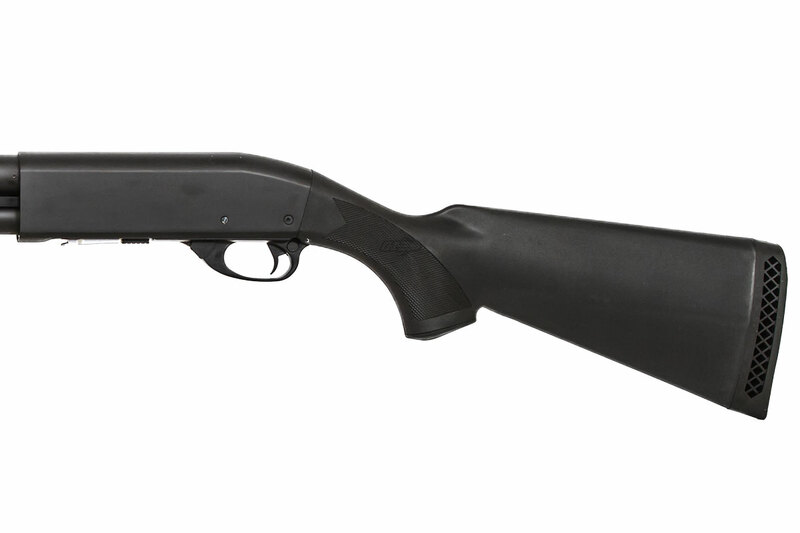 Unique to the Classic Army 870s is the removable magazine design, which Classic Army chose over the shell system. This makes reloading and storing extra magazines a breeze even in the heat of the battle, and ensures you don't drop and lose shells while playing. Classic Army chose to have their 870s shoot a single BB rather than going with tri-shot styles. That means you get better use of air as well as more accuracy and range. This shotgun is a true chameleon. 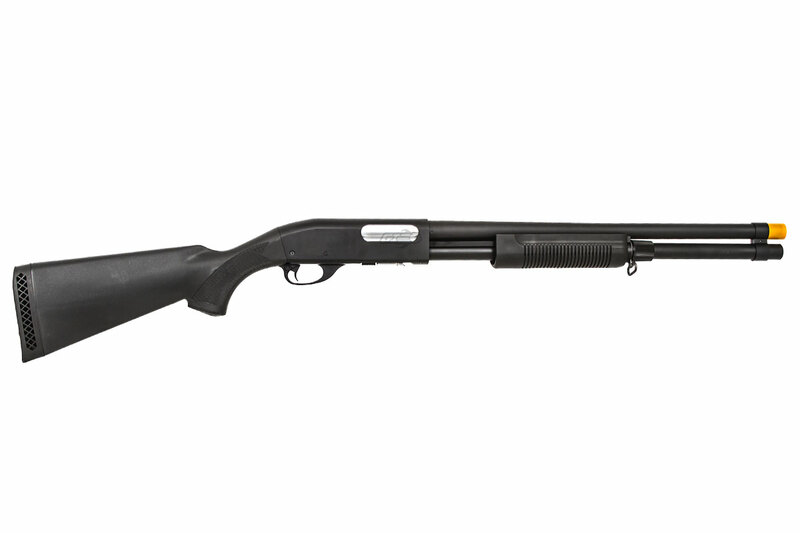 Put a low-power spring in it and blast away the competition at a CQB field, or turn up the heat with a more powerful spring, effectively turning this shotgun into a pump-action marksman platform. You'll be in total command however you choose to use it. I won this on the call your hit game but It didn't say wether I did . do I get one? If you won the call your hits game, it will ship to you automatically via the address attached to your account. Will real steel stocks for Remington 870 fit this Classic Army version? I want to put an aftermarket side folding stock for a real Remington 870 but not sure measurements match. It may require some modification but we cannot guarantee fitment. Is it possible to upgrade the spring for a higher fps? and which spring would get it up to 500fps? Yes, they take normal AEG springs. This specific model is not in the Call Your Hits offer. It is fed by a magazine. It shoots one at around 400 FPS. The CA870 takes a magazine. What magazines does this take? I can't find any classic army mags for it and I'm not sure what will fit it or not. Search Tags: Tactical model is a full length durable full metal body with a synthetic polymer forearm and stock.